“Ingo the Champ” outside the Ullevi sports stadium. 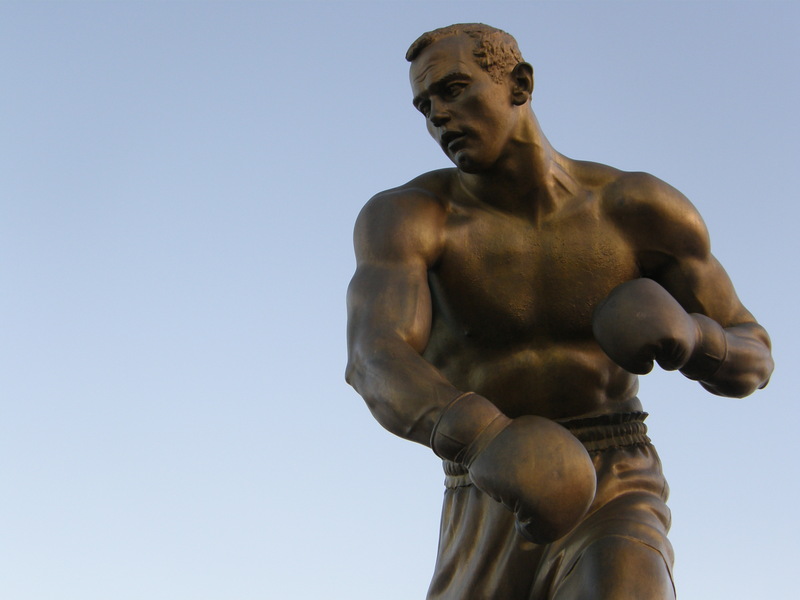 This statue shows Ingemar “Ingo” Johansson, a son of Gothenburg, a local hero and one time heavyweight boxing champion of the world. I originally posted this at GBG365 on 12th November 2012. Ingo was born in Gothenburg in 1932. He came from a family of semi-pro boxers. His father, cousin and both his brothers also boxed at one time or another. Only Ingo, it seems, made a full-time professional success of it. And only for few years. His biggest claim to fame was knocking out Floyd Patterson in 1959 at the Yankee Stadium in New York City. That was what won him the title. The match was famous (and you still hear people talk about it). Of course the simple fact that he won the title was an achievement. But at the time Sweden’s official media did not broadcast reports of “vulgar and coarse” boxing matches. Instead some 3 million Swedes tuned into Radio Luxembourg at 3 o’clock in the morning. They listened to a blow-by-blow account of the match live, reported by a Swedish journalist ringside. Ingo returned to Sweden and Gothenburg after his victory, landing at Gothenburg’s airport at Torslanda. From there he was helicoptered directly to the newly opened Ullevi stadium to be cheered by 20,000 fans. That was his great moment. A year later Floyd Patterson became the first boxer to regain the heavyweight championship title after losing it. He knocked Ingo out in the fifth round of their rematch. And knocked him out again in a second rematch in 1961. I’d like to say the photo commemorates fights Ingo fought at Ullevi in November, but honestly it was just chance that this was a November photo. 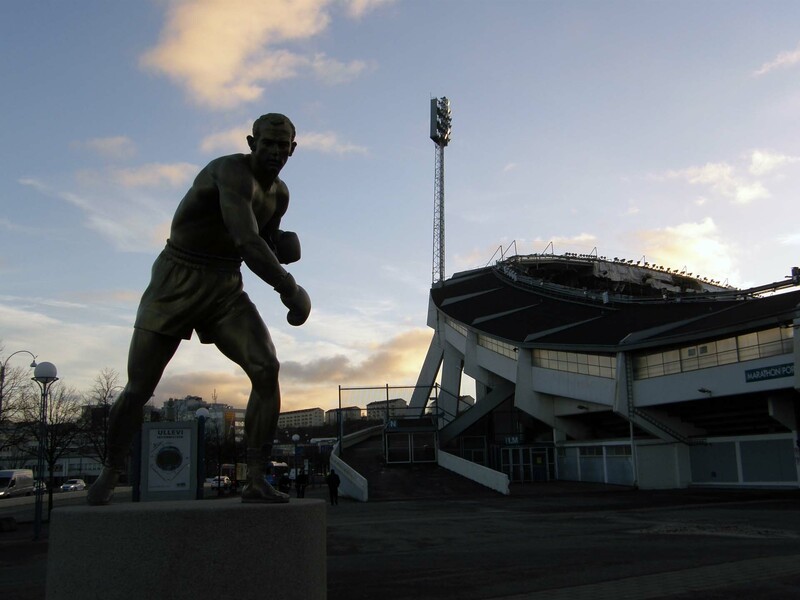 Ingo the Champ and Ullevi – The sculptor is Peter Linde and the statue was commissioned by Gothenburg City to commemorate Ingo following his death in 2009. Some of the details in the text are drawn from Ingo’s Swedish language Wikipedia entry and from an article in the Swedish language Expressen newspaper from 2009.